Coming to what, you ask? But I don't think Canon will be alone in this approach. Nikon has been in fervent rethink mode for awhile now, and what I hear out of Tokyo is that they seem to be coming to the same decision: an F-mount full frame mirrorless camera for 2018, with the F mount intact. We very well could have a Photokina showdown between the giants then, as they try to reassert themselves across the entire interchangeable lens camera market with their huge lens sets. Thing is, the longer Canon and Nikon waited to fully compete in mirrorless, the more their options turned to one: maintain the DSLR mount. That's because if you have to buy new lenses, then the legacy lock that Canon and Nikon have with their 200m+ lens installed base disappears. 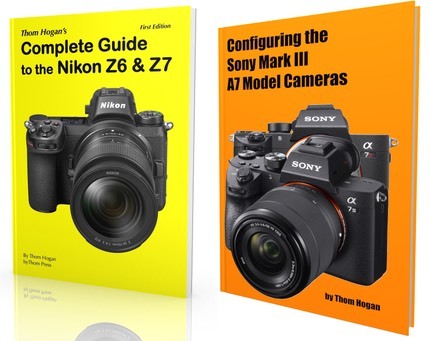 And the longer you take to enter the mirrorless market with a new lens set, the more the other mirrorless makers have their own lens set advantage. Fujifilm, for instance, has a strong basic lens set that's only really weak at the telephoto end. m4/3 can top that, with pretty much everything in place someone would want except tilt/shift lenses. And Sony is certainly getting closer and closer to filling out their FE lens set (see today's other story). Thus, I think it's wrong to expect Canon or Nikon to create any new full frame mirrorless system from scratch. Both companies probably need full frame mirrorless to hold Sony off from making any inroads into the duopoly. Canon, of course, has already dipped a toe into mirrorless with the EOS M, creating the mirrorless equivalent of EF-S and backed with a few new lenses. But looking at the size of the EOS M cameras versus their G X compact series and even other mirrorless cameras, I'm guessing that Canon sees EOS M as their eventual entry product. Basically the gateway drug to their DSLRs and eventual higher-end mirrorless offerings. Nikon badly stumbled at the same task when they dipped their toes into the same mirrorless waters. While the Nikon 1 could have been that same gateway drug to DSLRs, Nikon chose to use a far smaller sensor and not to use DSLR accessories or controls. They did just about everything they could to make it "not an entry to DSLRs." Then they priced the simple, little cameras higher than more than half their DX DSLR lineup at the time. After six years they have virtually nothing to show for that, and it would take a complete redo of the Nikon 1 to even begin to fix all the problems they made for themselves. I've long said this day is coming—and technically it still is as we're not to Day Zero yet—as both Canon and Nikon have to eventually evolve out of the DSLR mirrorbox to the simpler-to-build, easier-to-align, fewer-parts world of mirrorless in order to keep costs down. It's remarkable that Nikon can profitably sell a really good DSLR and lens for US$400, but that's pushed them to the extremes of what they can do. Ultimately, doing the same thing in mirrorless would cost them less and thus make them more profit, even at that same low retail price. But Nikon for the moment seems more focused on the high end, so I expect them to roll with a full frame mirrorless product next. And with the F mount up front. They must defend the F mount or they pretty much have nothing now, given the KeyMission, DL, and Nikon 1 fiascos and the ever-cooling Coolpix. All this is, if true, good news for mirrorless users. Choice always is good, and having the two duopolists finally playing hardball is going to mean everyone has to up their competitive game. The fact that we might get two of the biggest lens sets out there added fully into the mix means that all the other players need to quickly round out their own lens sets, too. It's been a bit of a strained time recently in mirrorless. We lost Ricoh/Pentax and Samsung completely. 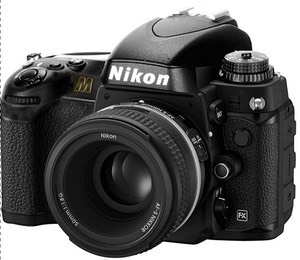 Nikon simply stopped Nikon 1 development by all appearances. Panasonic seems a little on the struggling side outside the GH5, and the Sigma sd line seems to have not even been noticed. We did get forays into medium format mirrorless, but that's well out of most folk's pay grade. But if I'm right, 2018 should see us have a full range of competitors all trying to get your attention with a wider range of choices than we've ever had. I can imagine Photokina 2018 having 100mp medium format mirrorless, at least a trio of full frame mirrorless players, and plenty of other action as everyone scrambles to be King of the Hill. We're probably coming into the prime for mirrorless now. Once the dust settles out of the super-charged competition, we're probably going to see fewer iterations that take longer cycles to complete. *Yes, this is a change from my previous thoughts about what Nikon is up to. From everything I can tell, Nikon started down the line of doing a crop sensor (DX) mirrorless system to be followed by a full frame (FX) one. But about the time that the Nikon 1 line was due for some more updates, Nikon seemed to go into rethink mode. Through most of 2016 there seemed to be no clear signals out of Nikon of how they were going to move on with mirrorless. Late in the year I started hearing the full frame mumblings again, and in the giant set of planning meetings that accompany the year end results that happen early each spring, those mumblings have gotten louder. I'm pretty sure now that a full frame mirrorless system is in the works at Nikon. That also corresponds well with their "focus on high-value add products" strategy statement.